The reason why I have developed the “Stone Diary” was, because I have been frustrated by people’s misconceptions of foreign cultures for a long time. I have also wanted to use my position as a sculptor to, in some small way, change people view other cultures. By creating and producing artworks I wished to combine the creative process with a greater project involving other sculptors and people all over the world with the aim to abolish stereotypes and misconceptions of foreign cultures around the globe. Looking for a medium to convey this message I developed during the MA programme for Cultural Production in 2010, this idea further. The result was the “Stone Diary”, which is an ongoing book series that documents my artistic activities in foreign countries. By now two volumes in 2012 and 2014 have been realized. 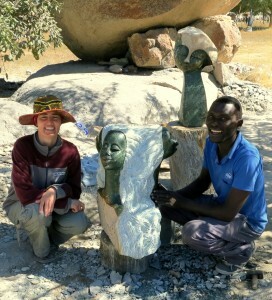 Fortunately I have found sculptors in Zimbabwe who were willing to work with me on my first volume of the Stone Diary. 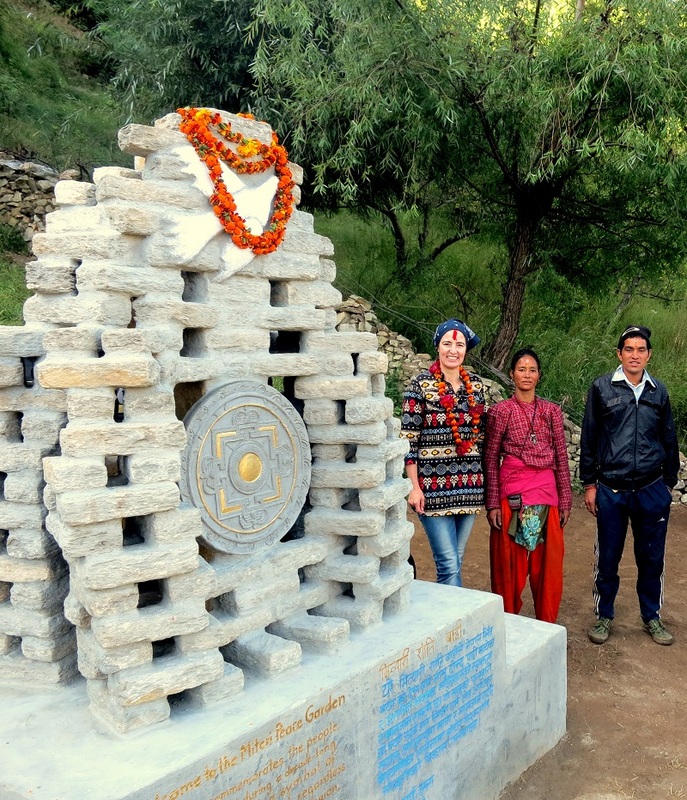 The second volume is about our experience how we have built the Miteri Peace Sculpture for the people of Jumla in West-Nepal. At the moment I am focusing on Khachkars – the Armenian Cross-Stones. Through very dear Armenian friends here in Austria I got to know the story of the Armenian Cross-Stones, and was immediately fascinated by them. Their charisma captured my imagination insomuch, that I decided to explore their story in “Stone Diary 3”. Now I am looking for people who know about this topic, and try to get in contact with Armenian sculptors and historians. It’s Gemma Bailey form Anthony Gell School who visits you yearly on our school SKI trip to Austria along with Barbara Boden and Paul B.
I would like to officially invite you to be part of the ‘Wirksworth Arts Festival’ in Derbyshire, England. Which is the small town where our school is. Most artist need to apply through the website but as we know you and we are a school with lots of space- the festival organisers are happy for us to have you based at school with us. We plan to have around 6 artists in school so please let us know if you are interested? It would give you an opportunity to show off your talent and sell your work & see where we all come from. It would be great to see you again! It’s my belief that mesothelioma can be the most deadly cancer. It has unusual features. The more I actually look at it the harder I am sure it does not respond like a real solid cells cancer. If mesothelioma is really a rogue virus-like infection, therefore there is the probability of developing a vaccine in addition to offering vaccination for asbestos subjected people who are really at high risk regarding developing long term asbestos relevant malignancies. Thanks for sharing your ideas on this important ailment. I was very pleased to find this website. I need to to thank you for your time for this fantastic read! !